10 year old Aoyama (Kana Kita) is serious beyond his years. An enthusiastic scientist, he spends his childhood days absorbed in notebooks full of observations and theories, while dodging his bullies’ comments with sharp wit. All the while he counts down the days until adulthood (just under four thousand to be more exact) when he’ll finally be able to marry his crush – a young dental hygienist referred to only as Onee-san, or ‘Miss’ (Yu Aoi). Aoyama’s world is abruptly changed when his sleepy little town experiences a puzzling influx of a colony of penguins – despite it being the middle of summer and nowhere close to the sea! Armed with his inquisitive mind, Aoyama enlists his friends in a mission to investigate this phenomenon, which serendipitously seems connected to the charming ‘Miss’. 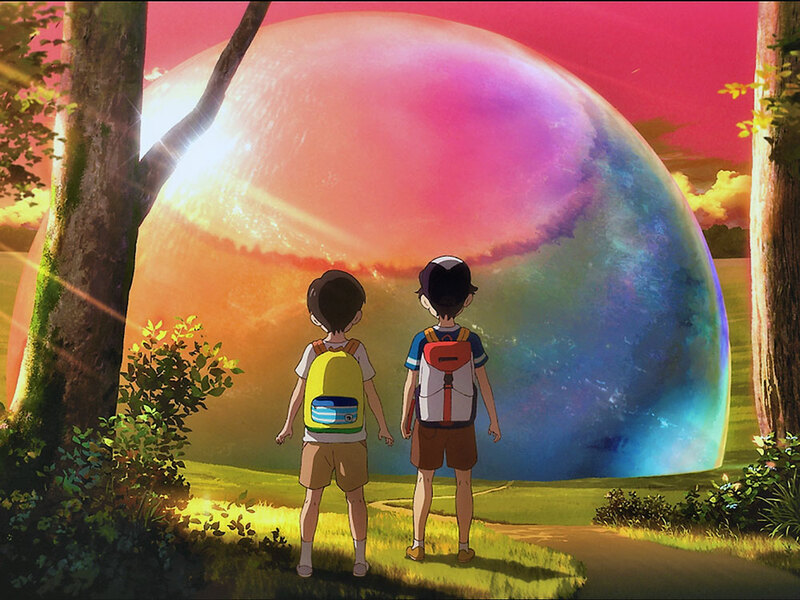 This debut anime feature from Hiroyasu Ishida is a highly imaginative rendition of Tomihiko Morimi’s 2010 novel of the same title which has been recognised with a Nihon Science Fiction Taisho Award. Mysterious tale bound to capture the hearts of young and old!